My Second Visit to Poland – Forefathers Traces Tour with James. The Last Days. Part 2. This time this is James’ post sent by e-mail to Zenon and posted here today. Day 8. Back in Warsaw for my last day in Poland. I fly home tomorrow, 7:45 am. Thunder and rain until about 10:30 am, then it let up, and I headed to the Old Town Square, to try and finish shopping for some gifts. My Second Visit to Poland – Forefathers Traces Tour with James. The Last Days. This time this is Zenon only. James should be already back at his home in West Virginia. 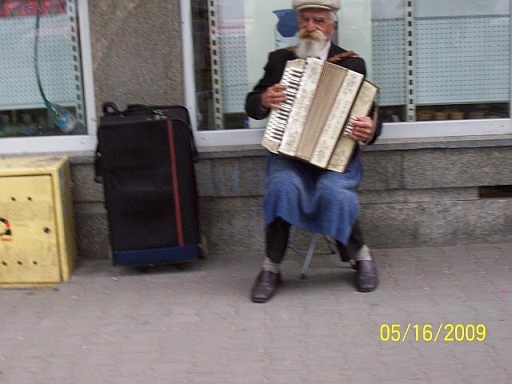 I am awaiting news from him about his journey back. Because James didn’t have Internet access from the hostel where he stayed in Warsaw (the computer was down there) we didn’t post any new articles through the weekend. We apologize for that all readers, especially the one who gave me a call asking if everything was ok with us, because he hadn’t seen any updates in the blog :-). So, a short update below. 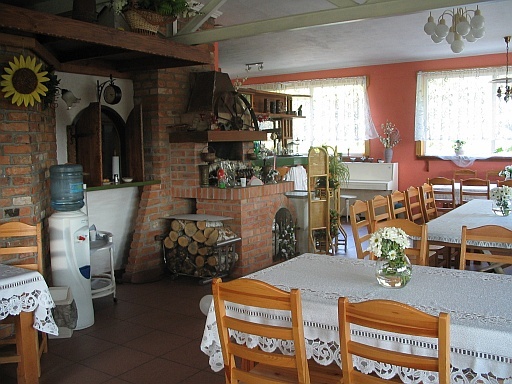 On Friday, on our way back to Warsaw, we stopped for a while in Włocławek to meet again with Jozef. He had even more interesting information for James about their common ancestors. Among other things, Jozef showed us a map with a few settlements in Włocławek where their both family houses where standing long time before! (We new the numbers of houses from other records found before by James and Jozef). James was especially happy of the map and Polish pottery set given to him as a present by Jozef. After this meeting we safely arrived to Warsaw. James checked in again in the same hostel he stayed before and I came back to my family to Pruszków. 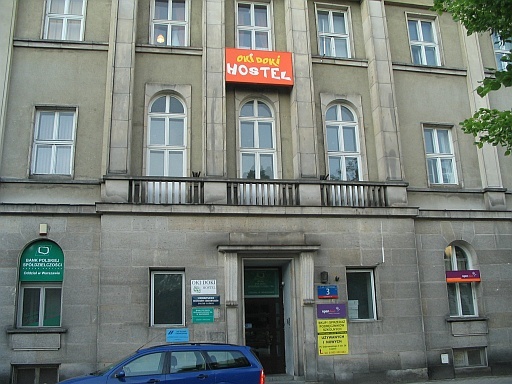 James’ hostel (where he stayed in in Warsaw). My Second Visit to Poland – Forefathers Traces Tour with James. Day 7. Busy day. We met James’ 3rd cousin Jozef, currently living in Włocławek. First we visited a big Włocławek municipal cemetery, where Jozef showed us several gravestones of Cybulskis. As of now we do not know if they are relatives of James’. However, we took pictures for further reference. 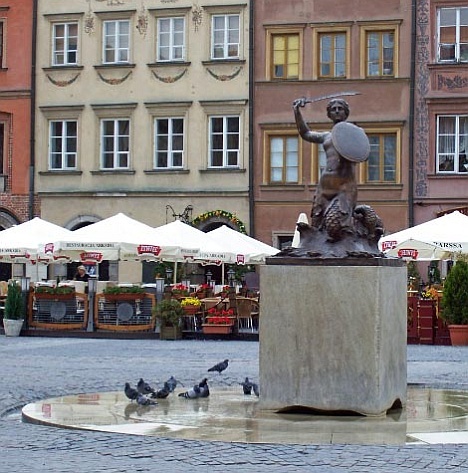 My Second Visit to Poland – Forefathers Traces Tour with James. Day 6. 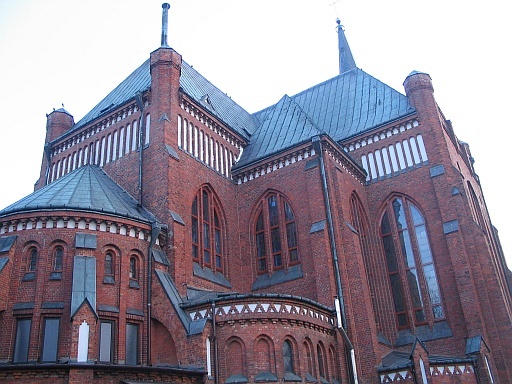 Our plan for today was to visit Toruń. First we headed for State Archives in search of records of Bielawy village which is now part of Toruń. There are numerous Bielawys in this part of Poland, the only clue we have is that the Bielawy we are looking for was somewhere in Western Prussia, 19th century. The records in the Archives were not in chronological order at all, there were no indexes in the book, what’s more, they were written in German, Polish and Latin, and these were not in any order, either!!! Anyway we looked through 20 years in searching for three specific years 1824-1827. After all that we still did not find any records with surname we were interested in. My Second Visit to Poland – Forefathers Traces Tour with James. Day 5. Once again a good start with scrumptious breakfast. Zenon visited Włocławek Archives again and James went shopping trying to find Polish pottery. No success. Poland (at least Włocławek) is out of Polish pottery. 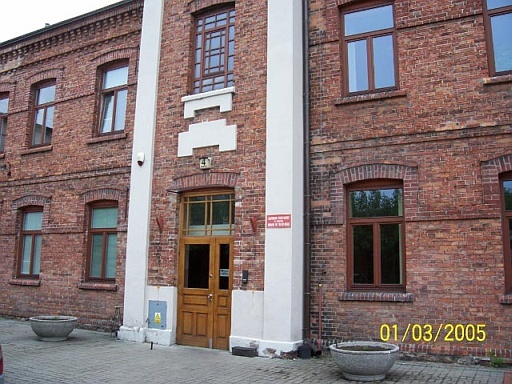 My Second Visit to Poland – Forefathers Traces Tour with James. Day 4. 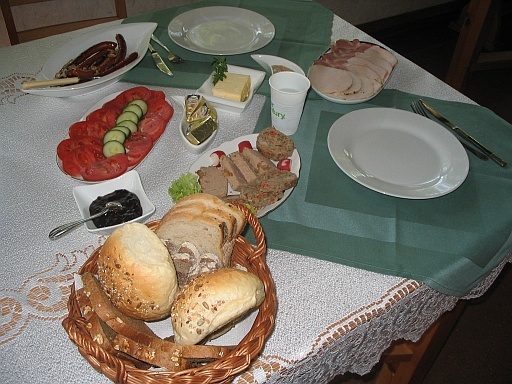 We had a good start of the day with a (at least) delicious breakfast (scrambled eggs on bacon, cheese, tomatoes, different cold meats, bread). Writing this down makes us even fuller :-). Below a few pictures from the Agritourism where we are staying in. My Second Visit to Poland – Forefathers Traces Tour with James. Day 3. At 10:30 we (James and Zenon) met at the Oki Doki hostel. It was 2.5 years since we first met (however during this period we were in touch via e-mails, PolishOrigins Forum, etc.). We headed for Żbików. Żbików is the town where James’ great grandparents were married and his grandfather was baptized. We visited the church and cemetery. After driving around the old sections of Żbików we headed for Pruszków. Pruszków is a town where Zenon and his family lives now and where James’ great grandparents lived. We drove around visiting different sites, old and new. My Second Visit to Poland – Forefathers Traces Tour with James. Day 2. Awake by 6:30 AM (jet lag!). The breakfast bar at the hostel doesn’t begin 8:00 AM, so hit the street, looking for coffee. Low and behold, what do I find open for business, a McDonalds! I could have had this back home, but the muffin sandwich was good and the coffee even better. I walked to the Old Town and the Square, visiting shops and snapping pictures along the way. 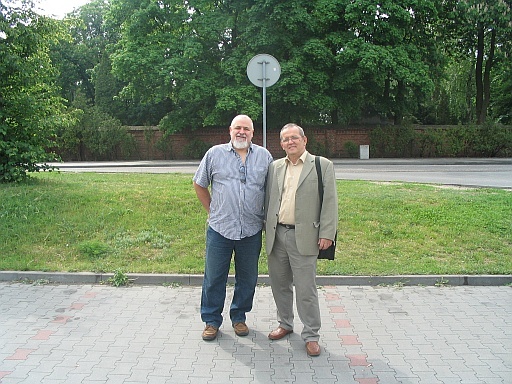 My Second Visit to Poland – Forefathers Traces Tour with James. Day 1. After an enjoyable flight to Copenhagen I arrived about a 1/2 hour late causing me to miss my connecting flight to Warsaw. Finally arrived in Warsaw about 3 hrs later than expected. Checked into a hostel and had my first kebab, before exploring the city. Warsaw looked and sounded about the same as my first visit in 2006; many cars, buses, trams and pretty women.